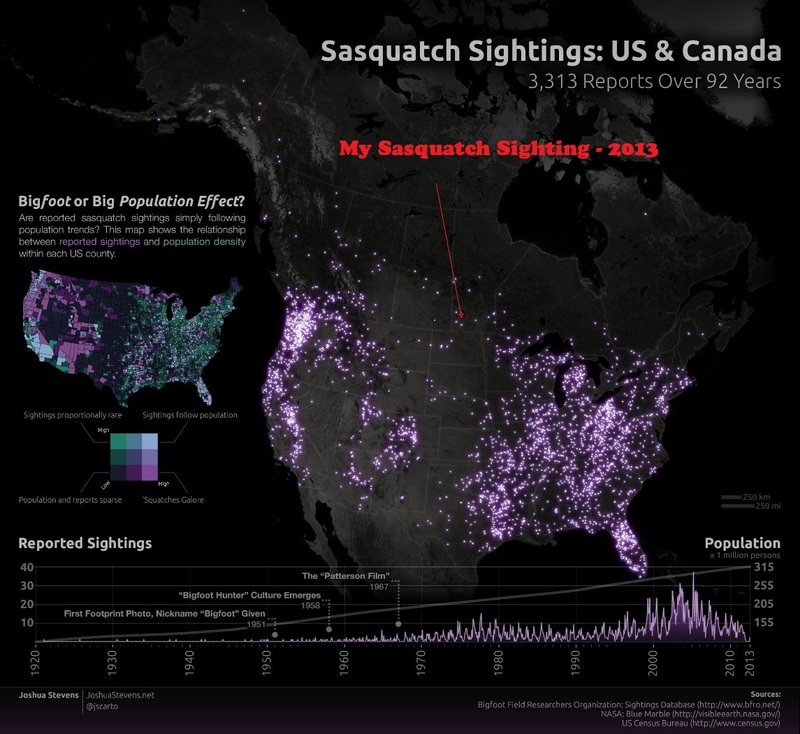 Is there a connection between Sasquatch/Bigfoot and ET? A "crazy notion" to some and to others it may be closer to the truth than most would ever expect. I had always laughed at such thoughts of ET and Sasquatch being connected.. Never in my life would I consider such a thing...before. I have always thought Bigfoot's existence as likely, though I had never seen anything with my own eyes. I did think it very possible. 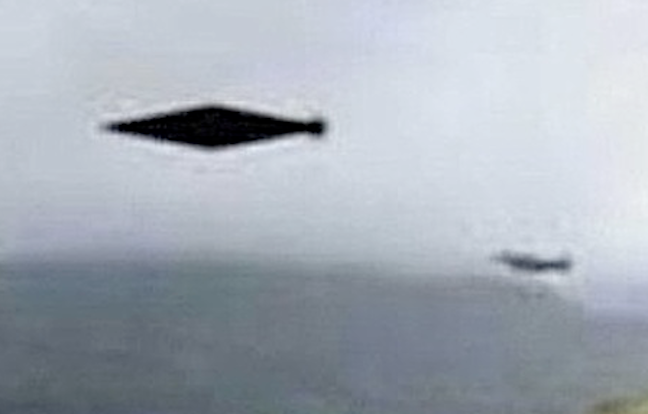 Such sightings have been ongoing throughout the history around the world and something smart enough could be able to exist on earth and avoid human contact. What creature of intelligence would like to be the subject of humans? For most of my life I have known ET as being very real, from my abductions. I also know that much of the alien greys being here has to do with us (humans). Until two summers ago..I had not a clue to this "slap in the face and wake up" truth about Sasquatch. I used to always give a quick nervous chuckle under my breath.."To think that people connect Bigfoot and ET/ UFOs". There may very well be a connection. As I write this, I hear helicopters (I now live in the parkland region in Manitoba just a mile from Riding Mountain National Park, the same place as all my close encounters have happened). It is rare for military to be here..but they are. Three military helicopters passing by with one breaking off to the south. 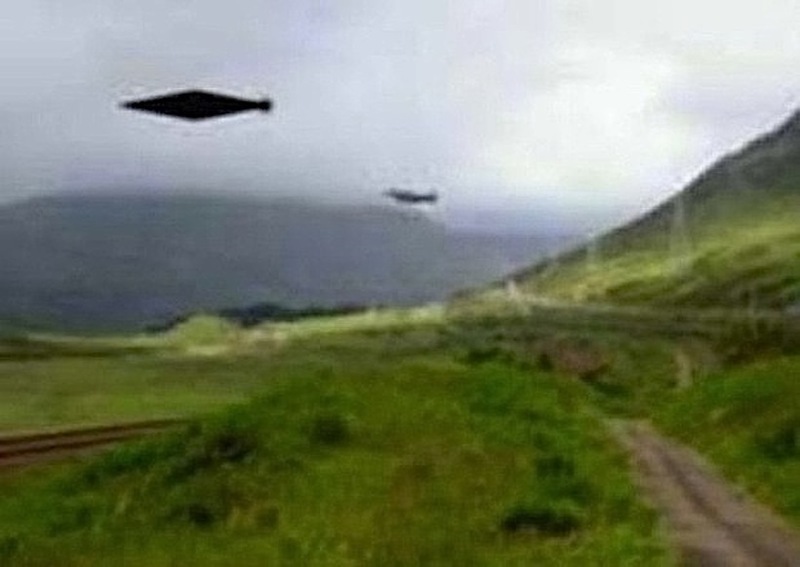 If I see such happen here, then they are likely in the area looking for UFO and ET. My last 13 years experience here in the region..and I know how it goes. Now... Back to Bigfoot and my sighting. Let's set up the scene as it was.. I had been coming up to the parkland region of Manitoba on a constant basis since the summer of 2002. I have seen hundreds of black bears...almost as many deer as well. Wildlife is abundant here with many moose, elk, wolf, cougar, bobcat, lynx, eagles, owls and so on. I am very use to the wildlife presence, as I am very much in their territory. Being just south of Riding Mountain National Park (one mile) puts me in an area that is frequent by animals that come from the park. Where I go and stay is tranquil..and good energy...It is a place that is truly good for the "spirit". (Perhaps this why we are frequented by UFOs and ET (the greys) so often here). There is an actual energy here..it can be physically felt as one comes into this area. I was in the Parkland Region of Manitoba, on the fringe (south) of Riding Mountain National Park, in 2013. 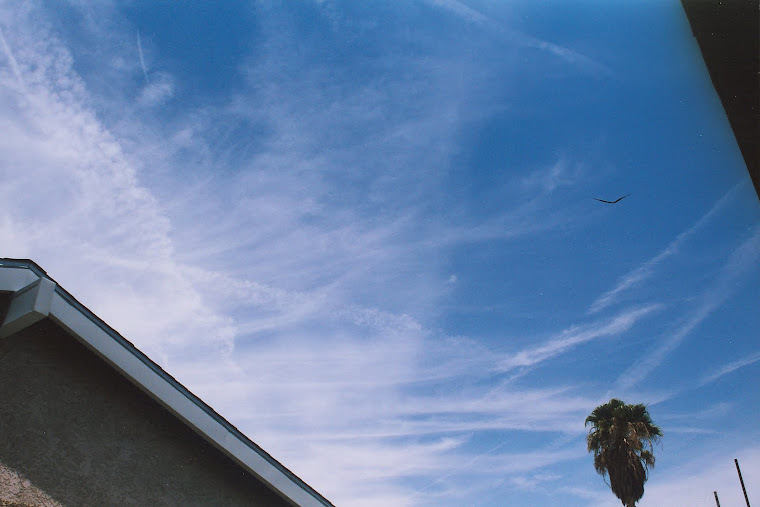 This also being the same location where I saw a white X shaped UFO the year before, in the summer of 2012. The entire area here is where I have seen crafts ..and it is close to my greys abductions location.. only 30 miles from my men in black abduction. It has always been a hot spot for activity. A good friend of mine owns a gravel pit and I was helping him out for a little while during the summer.. I was staying in a bus at a small lake, not far from the gravel pit and still in the heart of the active area. It was a hot, sunny July afternoon in 2013 at around 2 pm. I was standing on a machine called a "crusher". It is a rock/gravel crusher. My job was to watch the rocks, the crusher and all the belts and moving parts...and so I did. I stood on the machine for hours a day, watching all the belts and bearings and the rocks being crushed and the gravel..and constantly watching that things did not get plugged up. It was a job that required attention. I could not leave (get off the machine) while the machine was running and so I was stuck on it..until we needed to shut it down. My time was "well wasted" as I could not go anywhere else while on the machine, until we took a break. I always notice anything out of the ordinary (my perception is somewhat heightened being in the area of the greys). With heat of summer comes dragonflies. They have always been my most favorite of insects. On that afternoon..I saw two dragonflies in a dog fight in mid-air. One dragonfly attacked with a hit. He bit the head off the other dragonfly, as its body fell from the sky to the ground. I thought it a very interesting moment, as I realized that they (dragonflies) are a very deadly insect to more than just mosquitoes. I was pondering what I has seen with the dragonflies while I did a "walk about" on the catwalks that encircle the crusher. I was making sure things were flowing smoothly. As I went back to the spot where I usually stand, I suddenly had a feeling that I was being watched. I looked around..and saw no one. I could definitely feel the pressure of eyes on me, watching. Looking around more from where I was at the bottom of a hill and in the gravel pit, I looked upward toward the north. There was a smaller pile of gravel that had been dumped there the week before. It was small and only 7 feet high. I immediately noticed a dark figure that was standing there, beside that gravel pile. For a moment I was kind of confused by what I was looking at. The figure standing there was black. If it had been winter, I would have almost wrote it off as someone in a black snow suit with a black balaclava. They were covered. That was not the case though, it was hot outside. It felt like 27 Celsius and the sun was at its peak of the day for heat. I knew it was not some one in a snow suit standing there. The creature stood there. It was not moving but just standing there, watching me...staring at me. As you would likely guess, the crusher is a very loud machine. It can be heard for some distance. It is just a feeling but I am sure that the crushers sound may have been what attracted this creature to begin with. The sound is very hard to miss. Whatever the case, it was curious enough to stand there and watch me for several (long) minutes. It stood there barely moving and it remained erect. It was always facing me for the entire time, until it turned around and started to walk away. As it did turn I could see very clearly that this creature was very large. -It was approximately 10 feet tall. -It size was massive. I would guess it to be a minimum of 500 pounds in weight. -Shoulder width was about 4 foot wide. "Yep" it was very large. It would make most bears in the area seem small in comparison. I can estimate the size of it..as it stood beside the gravel pile and turned and walked away. I could see on its departure from the gravel pile, that it really was as big as it appeared. It hadn't been standing on anything else to appear that large. This was not a black bear or any other known (to me) creature. It was bipedal and had no problem walking. As I have stated, I have seen hundreds of bears up close and at a distance through my many years here. This creature literally overshadowed the bears I have seen. I had no choice but to wait until we were done on the crusher hours later before I could go up and investigate. It was a few hours after the sighting, that I went up the hill to the gravel pile where I saw him standing beside. I looked around but found no trace of him/her/it. The ground is hard packed dirt, gravel and rocks. That makes it tough to find prints or indents. I did a small walk in the direction it had left in. I walked for about 50 feet. I was looking to see if any broken branches or trail that could be followed..and didn't see anything. I did take a couple pictures of the area but lost them along the past two years. I did start asking friends and others that I know in the area if they had ever seen anything...and none had. The whole idea of Sasquatch being here...and seeing it...was a shock...or like a slap in the face to me. As I stood there with "it" looking at me, a realization came over me as to what it was I was looking at and what was looking very hard at me. It was like seeing a UFO or an ET up close for the first time. It will forever be etched in my mind as will the feelings of the "moment of realization". It is a hard hitting feeling. There is so much more going on here in this area..and on this entire planet. We are not alone..nor are we the only intelligence that does exist. I have kept this sighting/encounter quiet, simply because I have no proof. BUT simple prodding from friends convinced me to share what I encountered. I have done some research and found that UFO and ET are far more common among the locals. No one in this area that I have talked to thus far, knows of any Bigfoot encounters here. There was one report of a Sasquatch on the west side of Riding Mountain National Park and it was around 70 years ago. I do not have details on that one. There was one other sighting a few years before mine. This one was closer and pretty much in the middle between my MIBs location and my Greys abductions. With knowing this area, it seems almost ideal for such to exist here. The park is dense with forest and easy to hide. This is one of the highest altitude areas in Manitoba. It is only a 15 minute drive down the back roads to the location of the Sasquatch sighting, other than mine. According to the witness, the sighting occurred May 2009. It is a protected area, near the Lake Audy Bison Enclosure of Riding Mountain National Park. ( I am very familiar with this location and have passed through it several times. The witness saw two dark and very tall figures walking through one of the clearings where the bison are. This area is not an area where you "just go for a walk". Bison are not domesticated in anyway..and just as dangerous as any other wild animal. I am forced to try even harder, to locate these caves that exist in the area. There is more than one cave. The people that are aware of the locations of these caves are very secretive and it has been an on going attempt for years for me to convince them to take me to the dwellings (caves). I am still trying to locate other people here that may be able to lead me to the caves. It seems that the secrecy of the locations is very tough to overcome ..so far. The caves are close enough to be a part of all this...as well as a part of ET being here. I am only sharing this and making it "for the record", just in case I have some video proof or evidence in the future. I cannot say what the connection is to the greys with Sasquatch. I do know that for as much as the alien greys have been in this area and the many UFOs seen by locals (myself included), the greys would have to be very aware of what else exists here. A creature the size of what I saw would have to be an obvious thing to any advanced beings. (Honestly, there is very high alien / UFO activity in this area and the greys are likely the only ones (ET) here). Are Bigfoot and ET connected? Yes. I would bet on it being true. If you are interested in my UFO encounters and abductions that have taken place in this same area as my Sasquatch sighting, then start here...with part one to my encounters. It was just after I had seen Bigfoot/Sasquatch, that I had a craft come by where I was camped. The small lake is a couple miles as the crow flies from the Bigfoot location. I was sleeping in the bus which was parked on shore. there is no other road just the one road that led right to the camp site. There is no one around for at least one mile, just my guests and I being the only ones at that lake. When I look out the door of the bus I saw this view..normally. It was late at night/ early in the morning at 3AM, when I was awoken by a sound. The sound was very loud and definite. It sounded as a water drop would sound but it was VERY amplified. It could not have been any kind of drop. I sat up immediately and saw the dog sitting there too. He had woke to it as well. Suddenly things started to get brighter within the bus as something bright started to approach outside, from the south. A white glowing object approached the bus and things became more bright. The bus canopy poles were now moving shadows across the window curtains. whatever it was...was now just outside on the west side of the bus facing the lake. I sat there silent and holding my breath at the entire side of the bus was lit up in the white light. I could see a bright white light through the curtains. It was about five and a half feet off the ground. I didn't move. I didn't want to disturb anything and draw more attention than there already was. I really didn't want anything to happen to my guests and I was on the edge of my seat. I know how things can go..and how nothing can be done..if things are set into motion with the greys. I could see the dog almost having the same sort of reaction as me. He looked rather worried. I couldn't see the shape of the white lit object through the window curtains on the bus. I really had no desire to interrupt their passing by and knew if I did move the curtain..It would definitely draw more attention. The white glowing object finally and silently passed. It took a while to relax a bit..I sat there for about half an hour and waited for it's return., but it never did. I did eventually fall asleep again. Between the two encounters, it opened me up the reality of the very good chance of Bigfoot and ET being connected. I really didn't want to share any of the Bigfoot sighting before. I honestly felt that it may take away from any credibility that I may have. I have now moved on..past that. People will accept whatever they want.. and that is life. It seems that the further you go from populations, the more you may actually see. All I can hope for at the most..is some sort of proof of everything, for others... Proof of ALL that I already know as real in this world, from my personal experiences. These are a couple videos of "Bigfoot / Sasquatch" from Manitoba and they are worth a look at. 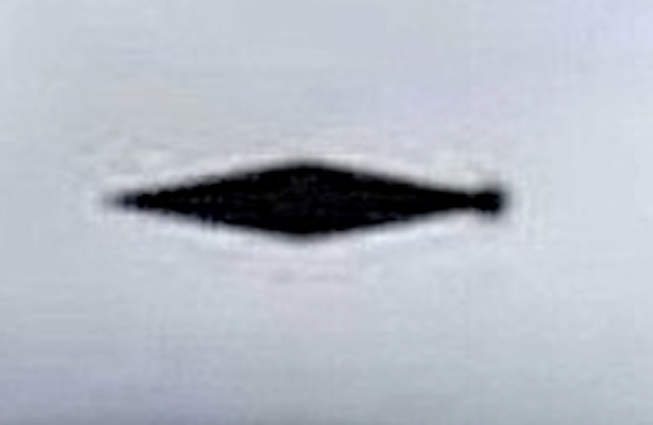 There have been crafts (UFOs) seen by locals out here this year..some have recordings. I have had two sightings of crafts but they were not close encounters. Perhaps I will soon update my blog with those , if I can find more time. I've experienced alot of things myself and I can tell ypure being truthful in your reliving of the things you've experienced. I loved reading your story. There's more than just me out there that's seen things that aren't normal for others. Good luck.